More than 30 substances in the blood are known to affect clotting and it is essential to get the balance of substances right. If the blood is prone to clot too little then there is a risk of haemorrhage; too much and there is a risk of clots forming where they are not wanted and leading to life-threatening conditions such as strokes and heart attacks. There are several widely-used drugs which stop clots forming. These are prescribed to people who are known to be at risk, including people with artificial heart valvespeople who have had a heart attack people who have had a strokethose who have had or are at risk of deep vein thrombosis people suffering from atrial fibrillationpatients undergoing orthopaedic surgery people with anginapeople undergoing procedures to coronary arteries, eg stent insertion. One of the most commonly used anti-coagulants is aspirin. The blood's natural anti-clotting substance, heparin, is given by injection, while warfarin is the most widely prescribed anti-coagulant taken orally. Blood clotting, the mechanism by which the blood sticks together to form small solid clots is a natural and vital function of the body. Blood coagulation is triggered by blood cells called platelets which, through a series of chemical reactions, produce a substance called thrombin. This converts a blood protein fibrinogen to fibrin which then create a series of tiny threads which lead the plasma in the blood to become sticky. The process protects the body from excessive bleeding, ensuring that a clot forms at the site of a wound or injury - either inside or outside the body. As well as its pain-relieving properties, aspirin is increasingly used to help thin the blood. People who have suffered a heart attack or stroke are given clot-dissolving drugs immediately and will generally be prescribed long term anti-coagulant drugs. Taking low doses of aspirin daily is one of the cheapest and most effective means of preventing a further attack but has been shown to have a significant risk of gastric bleeding if taken long term in the absence of previous heart problems or stroke. In the UK 300,000 people suffer from a heart attack every year and the vast majority will be prescribed low dose aspirin afterwards to try to make platelets in the blood less sticky and prevent a second attack. Many of the 1.4 million angina sufferers in the UK are also prescribed low-dose aspirin. Aspirin has also been recommended for those embarking on long haul flights because of the increased risk of a clot forming in the leg during periods of prolonged inactivity. Heparin was first discovered in 1916. It is found naturally in many cells in the body. Heparin comes in two main forms and is routinely given intravenously after a clot has been diagnosed. The two forms act in a slightly different way on the thrombin in the blood and have the effect of prolonging the time a clot takes to form. The newer form, low molecular weight heparin, has been associated with fewer bleeding complications compared to unfractionated heparin. It can be administered either by drip or injection under the skin. For immediate effect, such as after a DVT or a pulmonary embolism, an intravenous dose is given to ensure it is more rapidly delivered to the blood stream. The effects of heparin on clotting can be measured with a test called APTT and, as with warfarin, the dose needs to be adjusted to make sure it is at the right therapeutic level. The common APTT ratio is between 1.5 and 2.5. Warfarin is an anti-coagulant taken in tablet form. It acts by interfering with vitamin K which is vital for blood clotting and the manufacture of prothrombin in the body. Patients who have undergone major heart surgery, including valve replacement and heart bypass surgery will generally take these ant-coagulants to avoid the chance of a clot forming around the new valve or artery. Patients will be generally be given heparin for several days followed by 3 to 6 months of warfarin. Patients taking long term anticoagulant therapy such as warfarin need to have their blood checked regularly to make sure they are on the right dose. Warfarin will slow the clotting time of the blood which an be measured by a test called the international normalised ratio or INR, a measurement adopted by the World Health Organization. The desired INR range is usually between 2.0 - 3.0. 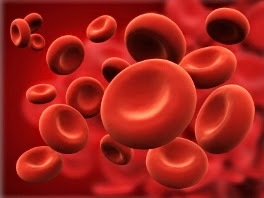 This is calculated by measuring the patient's actual prothrombin or clotting time against a n expected or control time. The individual response to warfarin varies so it is important that INR measurements are closely monitored. Usually the INR will be measured with a daily blood test when a patient is first prescribed warfarin until doctors are sure the clotting time is within a safe range. This will then be reduced to two or three times a week, then weekly and eventually monthly or even quarterly for those who are stable and not taking other medications. The main side-effect of taking anti-coagulants is increased likelihood of bleeding - particularly if the INR is above the desired level. The risk of bleeding with warfarin increases in people aged over 65 and those with a history of stroke or gastrointestinal bleeding. With aspirin the main complication is gastrointestinal bleeding because of damage to the stomach lining. Low dose aspirin pills (75mg) are usually given an enteric coating which protects the stomach tissue. One very rare warfarin side-effect is skin necrosis, which usually becomes apparent within a week of starting treatment. Lesions appear on the skin which are due to small clots in the blood vessels under the surface. Combined treatment with warfarin and aspirin has been recommend in the UK for prevention of heart attacks in people at risk though this may increase the risk of a haemorrhage. Newer drugs such as clopidogrel and dabigatran are being used, or researched in to, for certain situations needing anticoagulation. Heparin's side effects also include osteoporosis, hair loss and hypersensitivity. Warfarin should be avoided in pregnancy because it crosses the placenta to the baby, though use of heparin in pregnancy is safe. Warfarin can also interact with other drugs, including some antibiotics, barbiturates and alcohol so it is essential that patients discuss any medications with their doctor. A diet high in vitamin K which is found in leafy green vegetables may also inhibit some of the warfarin effect.